BOAT TRIPS Explore the reefs and wrecks off the Emerald Coast. Destin is the premier spot to enjoy the water while on vacation. 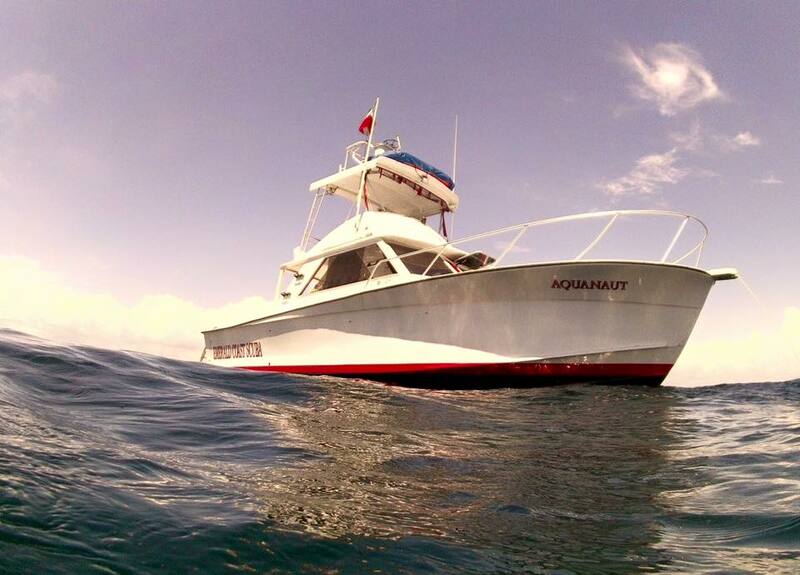 Explore the reefs and wrecks off the Emerald Coast aboard the Aquanaut. We have several natural limestone reefs just off the coast, most reefs in 85′ – with the wrecks & artificial reefs in about 60′. During our 4 hour trip, we’ll make 2 dives – with approximately an hour surface interval in between dives. This trip is $99 plus whatever you need to rent ( air tanks are $10 – you need 2). Also, if you’d like to do a real easy dive, or you havn’t been in a while, or don’t have experience in the Gulf, then you can hire a Divemaster to be a buddy – for only $25 per diver. Leave the planning, navigating, stops, etc to them – and just have fun looking at the marine life! Welcome to the Jetties! Your max depth here is 52′ – for those wanting a little more shallow dive, or those just starting out! Divers: $75 Charter Fee, or $135 package including all equipment. Discover Scuba Diving: $135 includes your Instructor, boat trip and all the gear. Our boat, The Aquanaut, was in "Jaws II"! As a matter of fact, one of our Captains (Franky) is the grandson of the man that built the boat and played the Capt. in the movie – and his 2 uncles played the First Mates. Don’t worry folks, sharks don’t bite the same boat twice! Check-in time for all dive charters is 1-hour prior to departure time at the Dive Shop. Please have your certification card and dive experience prior to charter. After completion of the required paperwork and having secured any rental equipment needed, you will then drive to the boat, which is located down the street at the docks.